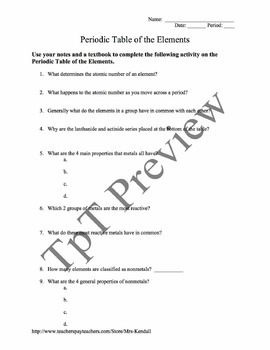 This worksheet was designed to help students become familiar with the periodic table and the basic properties of the families and elements on the table. This is always a difficult unit to introduce students to as it is so much different from anything they have learned before. 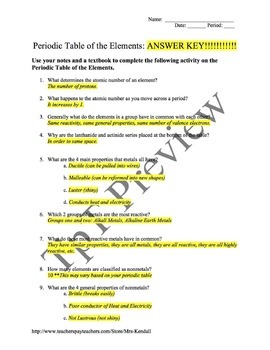 This worksheet makes the content more accessible. Enjoy! 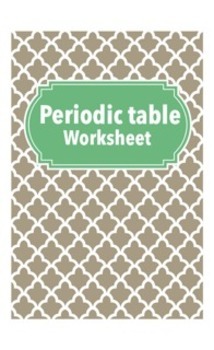 (periodic table, elements, family, groups, worksheet, 8th grade, physical science, chemistry, middle school).